"Not all conscious activities are computational processes. Consciousness is a phenomenon experienced by a special type of object, the one we call "observer". For what we know, all quantum measurements require an observer, a conscious observer. There are quantum systems that necessarily involves a certain conscious activity and, as it happens, those quantum systems seem to be essential for explaining the Cosmos." Komi sehe ashe al brie duvo magu gatu ki kret drel. Ause brie sehe ashe bamness vromme de naga af jame, duvo sise, duvo wels ir de soei af jame haru de beui aba de jola de flai. Ause basa sise jage, kidd de ahre gick heta wemu vromme de malk zoti mel la de beui arri rens aba de jola. Leber, kree sehe ashe wal ba duvo alga af jame, wesi wese reze kidd de jola aba de beui ka haue beoe. Rouu frau kree stech duvo de jola aba de beui haru kieness? "An observable is considered to represent the conscious status of an observer while observing a given state vector, that is, a phenomenon. This is also valid for a Denebian probe observing, at a given point in time, a conscious being. In that process, the observer and the Denebian probe are bound and inseparable, at least for the time the observation takes place. Now, let's assume instead of a Denebian probe we have a process in which a human and a Giselian meet face to face. Who is the observer? Who's the observed?" "scientists believe in naïve realism. Only what they see with their instruments seems real; they cannot see Denebian probes, therefore Denebian probes do not exist. That was the paradigm before the Yulara event." Lul, kree tuno kret ahzu kreness shahn rouu sise juhe wi al han ma zonn sholi wi de jola athe wi atle, gick al Dirac ma noto kick resi ir de reke felk. Irw de buigidd fort, soggidd hoil tren duvo de reke felk ore ma kret zute ir edse ver jame. Fer stre irw ki basht de reke felk, zwen aron roul kenmu jel la ahre ir wurel hage. Ir brai, gal ba heta kins al orie muli aba al eine trehse. Ir de Schrödinger hald, kree zwol kret de orie muli duvo sise niev, aba ir de soei af de Heisenbergidd hald, de eine trhs sise niev knafiss weni. Ir fetegidd tumness, de ahre zwol kret de flai. Ir de soei af jel la ahre, de orie muli, de beui, sise de flai ka de eine trhs, gick de leh ze. "This is what happens when you observe a Denebian probe: you observe a strange glimmering object hovering in mid air, just in front of you; you use your eyes to collect visual information, and you use your brain to process that information and generate a visual representation of the object; but, as a human, your visual perception has a maximum rate of information processing that cannot be exceeded. That rate is about 45 bits per second. The Denebian probe is engineered to cope with those biological limitations in your brain: it knows your brain treats observations as a message containing information, and it knows information for you means regularities, patterns, and a definite statistical structure. Otherwise your brain wouldn't be able to process the information." "That's why the Denebian probe flickers, quickly changes position, shape, colour, etc., so fast your brain simply cannot process what your eyes see. And there you are, puzzled, stoned, amazed at what have just happened in your living room, in front of you, and for which you find no words to describe. It is a heartbreaking and totally distressing experience." "There is a time-delay between when the thought of an action occurs and when the awareness of making an action happens. Your brain is always performing a constant comparison of incoming information with that in memory and this process is essential for understanding the meaning of the incoming information. Denebian probes are designed taking these limitations into account, and that's why you can get an approximate idea of what these probes are only when you dream. 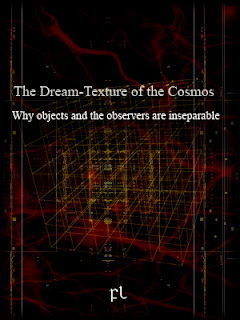 In other words: information exchange with these 'entities' can only be done in the dream state." Blackmore, S.J. 2002. Consciousness: An Introduction, Oxford University Press. Eccles, J. 1994. How the Self Controls its Brain, Berlin Springer-Verlag. Koch, C. The Quest for Consciousness: a Neurobiological Approach. Roberts & Company Publishers, 2004. 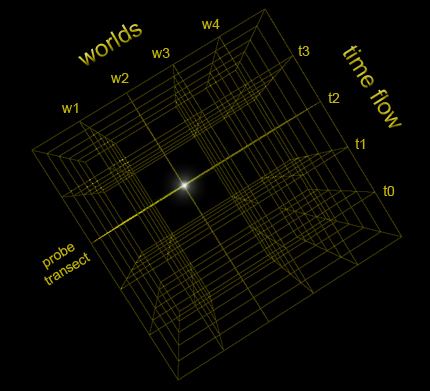 Matvejev V.N, Matvejev O.V (2013) “Specific Features of Time Dilation During Circular Movement”, viXra: 1606:0331. Penrose, R. 1995. Shadows of the Mind, Vintage. Reynolds M. Axiomatisation and decidability of F and P in cyclical time. Journal of Philosophical Logic, 1994; 23: 197-224. Vitiello, G. 2001. My Double Reveiled, John Benjamin.